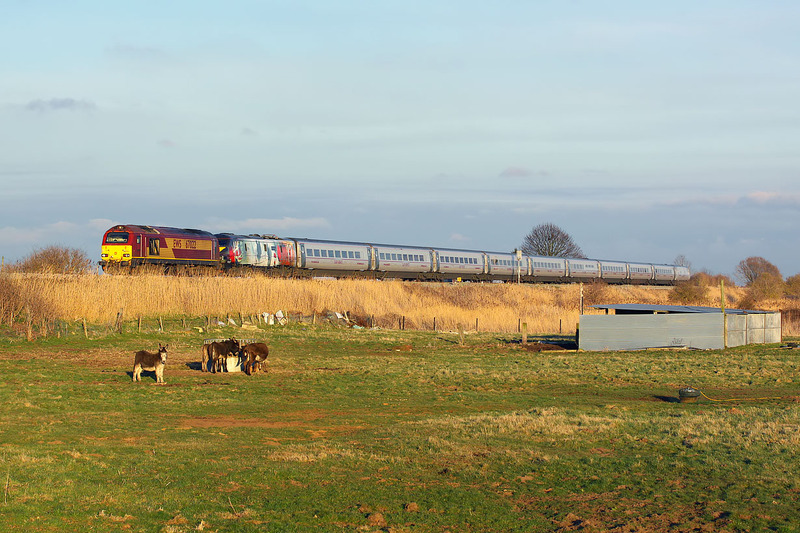 67022 has 91111 For The Fallen in tow, as it passes Park Drain (between Gainsborough and Doncaster) on 14 March 2015 with the diverted 1S24 14:30 Kings Cross to Edinburgh Virgin Trains East Coast service. I am being watched by one of the donkeys in the field, but the others are more interested in their food! After a day of indifferent weather, the last couple of hours was virtually unbroken sunshine, and this completely open location was an ideal shadow free spot for a picture taken in the very last of the light.